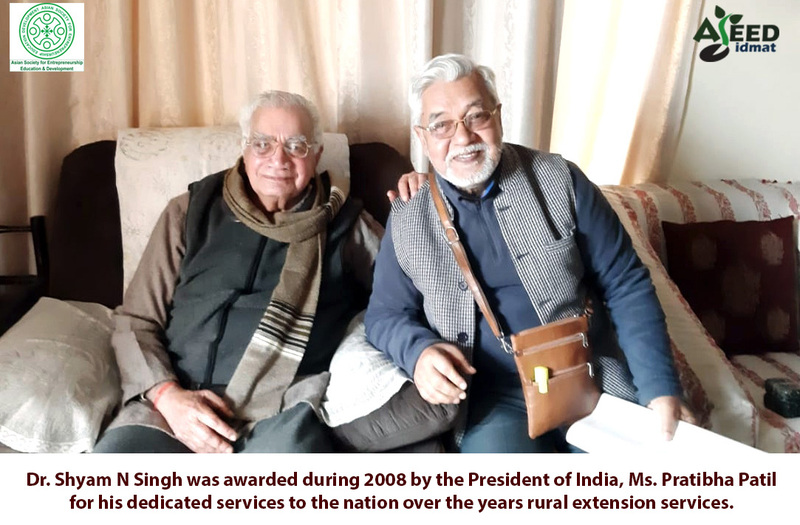 ASEED has completed its 28th year of its journey and could celebrate its annual foundation week at our head office and across the country at different centres of the organisation in different ways. Our reflective exercise, retreat ,review and partnership mission was re-examined to address our vision ,mission and goal of the organisation . 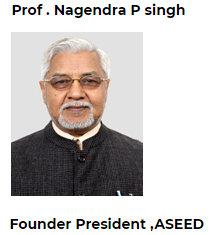 ASEED -National Innovative learning centre at Greater Noida ,UP (National Capital Region) has made significant move with the dawn of the new year 2019. It could invite local academic institution, corporate managers ,our key Board members and students of learning hub partners of TISS -SVE to join during debate and bimonthly regular learning forum . An interesting move by the organisation has driven our partners and project team to create a learning network in respective locations to encourage entrepreneurs learning forums as well. During our Silver Jublee celebration of 2016 April , more than 100 technical entrepreneurs, technical trainers motivators and facilitators ,their product display ,expo and award ceremony was organised by ASEED where ,MSED government of India key senior functionaries and NSTEDB Department of Science and Technology could associate with our collective effort that was supported by NESTEDB ,GOI. Entrepreneurial journey of the organisation has witnessed ups and down with a new facets of institutional development that could set up its multi thematic centres in eastern and northern India. It has taken off the ground in state of Bihar with fully developed and well equipped infrastructural learning centre in Bhojpur over the last 7-8 years . It has scaled up the process in partnership with BSDM Govt of Bihar and acquired the smart portal member of NSDC -National skill Development Mission ,GOI autonomous body . ASEED-IDMAT stake holders and students, faculty and invitees of knowledge park Greater Noida. Glimpse of 27th ASEED Annual foundation day while coinciding the Swami Vivekanand 155th birth anniversary function at our national innovative learning centre Greater Noida (12th January 2018). “Enabling ,skilling and enhancing youth’s employability towards building a self -reliant entrepreneurial society with distributive social justice “; has been Aseed ‘s collective vison to foster our stand up India mission .We pledge to enable our youth from different socio economic strata while building an all inclusive society through a planned strategic and innovative learning approach .Time has come , as a golden era ,to innovate and help incubate learners through our educational and development mission to build our competitive and creative advantage of the institutions ,at global level by selective intervention at school and higher educational institutions . The genesis of our organisation has evolved on the premise that our country with growing population needs more of job creators than job seekers to addresses our socio-economic concerns of tomorrow. Job creators are start-up leaders and entrepreneurs. Such a campaign has been reinvented by Indian brand makers and several stake holders of today. However, the innovative leadership of the current Government has added passion towards entrepreneurial resurgence amongst youth and driving towards a momentous growth of economy while integrating a new development paradigm despite several odds. A-SEED that was sown as a non- profit autonomous body and was conceived in the idea womb of a few thinkers. The idea hatched in to action from conception to visibility by early 90s. The climate of educating entrepreneurs had begun despite inadequate market infrastructure and poor readiness of financial institutions. The skill component has been missing nor was capability building on the card of the institutions. Now the time has changed and climate has become more receptive to give dignity to entrepreneurs. Society is also vibrant to accord better support & inspiration. Our institutional infancy period has begun its intervention as advocacy organisation stimulating innovation and creativity learning at school levels .Delhi public schools Rk Puram Cambridge school , Bhatnagar Inrternational and Bal Bharti schools sought our support for innovative learning design for higher class students . NCERT ,and DST -NSTEDB GOI could join hands with our pioneering initiative to multiply our innovative effort with a publication “READY GET SET GO “ for young mind stimulating process..Government agencies picked up our effort to multiply the concept of entrepreneurship at school level and ASEED could associate several teachers development programme on Entrepreneruship across the country. Asian society for entrepreneurship education and development began to spread the mission of job creation campaign as against obsession of job seeking in the education sector in Asean region. Our first aggressive development intervention moved beyond India after its early intervention of India stepped into Malaysia, Indonesia, Nepal and Srilanka were the testing field for models already in place. As we moved ahead with the history other thematic areas formed core strategic focus of the organisation ASEED chose four operating areas.. 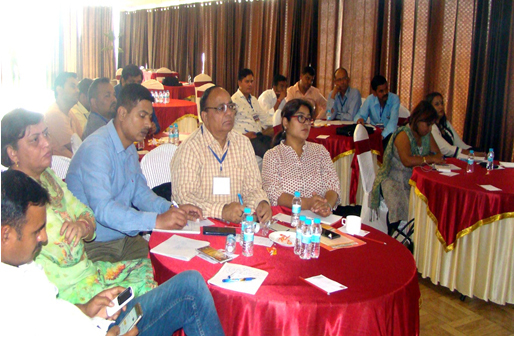 The capacity building areas evolved as by IDMAT (International institute of development management technology). Over the years our clientele base has been widened and institutional development has taken off the ground. Our national learning centre has been conducting courses in partnership with NIESBUD, NIFTEM, and NSTEDB& PSUs. The current policy support of the government has inspired the community to self -empower and acquire skills to move for start-up and stand up for economic self-reliance.